Podcast Case Study: Can You Reverse Anxiety or Depression WHILE Getting Rid of All Your Autoimmune Disease Symptoms? 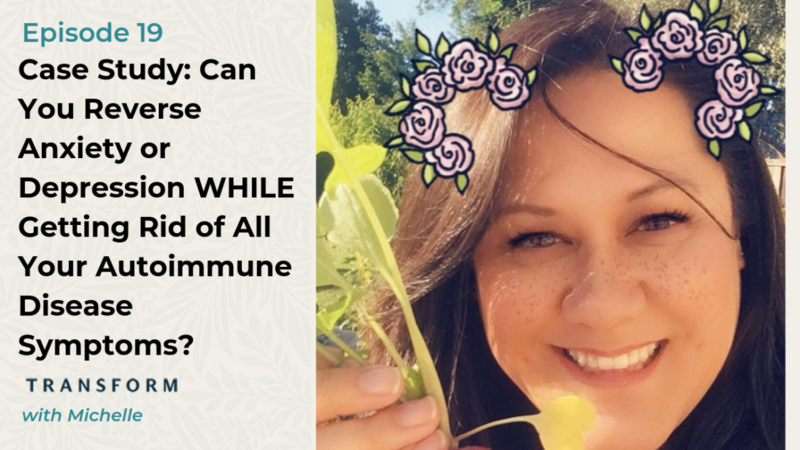 Case Study: Can You Reverse Anxiety or Depression WHILE Getting Rid of All Your Autoimmune Disease Symptoms? We welcome Michelle in this episode to talk about anxiety. 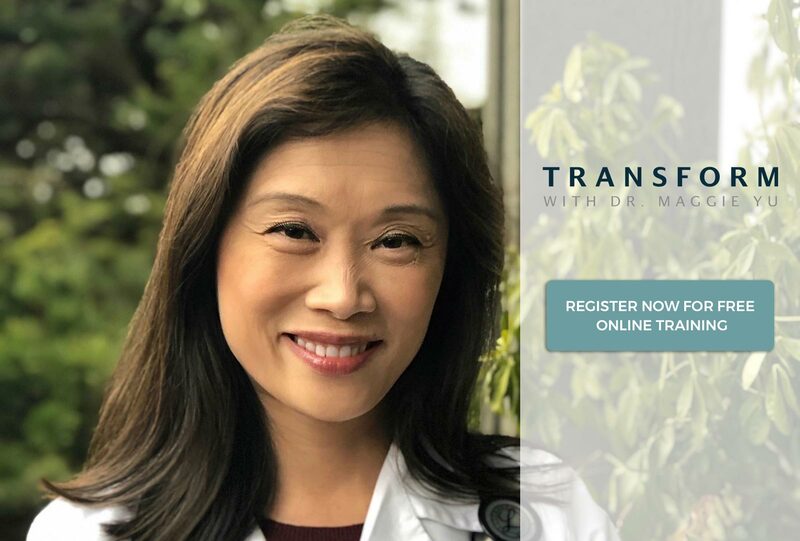 Michelle graduated from the Transform Autoimmune Disease Naturally program created by Dr. Maggie Yu just today, which helped her in overcoming her anxiety as well as her autoimmune disease. Michelle enters the podcast and says she was diagnosed with fibromyalgia in 1999. As she progressed over the years and looked for solutions, she was diagnosed with even more autoimmune diseases. Michelle states that she was in a very bad place by the time she found Dr. Yu, with her anxiety measuring off-the-charts. She recalls that she was crying every day and even had to tell her boss that she needed time off to deal with the depression. Dr. Yu provides her insight on how regular doctors can’t understand the many levels of pain associated with fibromyalgia. We move on and hear about Michelle’s experience in treating her depression with conventional medicine. Her doctor had prescribed medications that made Michelle suicidal, so she immediately stopped taking them. Michelle was able to ease her symptoms with some natural methods she has tried, but the symptoms would always return. She had experienced pain, fatigue, brain fog, and weight gain, all of which made her even more depressed. Dr. Yu explains that people with autoimmune disease usually look like they have no symptoms, and therefore, other people don’t understand what they’re going through. With today marking the end of Michelle’s eight-week journey through the Transform Autoimmune Disease Naturally program, she expresses that she now has no anxiety. She says that previously, just doing this interview would have caused her to break out into hives. Dr. Yu asks when Michelle started feeling relief from her anxiety, and Michelle answers that it was just four days into the program. During a group call session, Michelle found out that it would be okay if she took medication to get control of her anxiety. Before, Michelle felt too anxious to take the medication that would combat this very symptom. Other outcomes that Michelle has had thanks to the program are having an abundance of energy, no pain, clear thinking, and balanced hormones. Michelle reveals that she had gone nine months without a period and was three months away from being officially diagnosed with menopause. She finally received one four weeks into the program and has just had another one. Michelle says that it’s difficult to pinpoint the biggest factor in all of these positive changes, but that it is likely the empowerment she has received. Now, if one of Michelle’s physicians does not want to work for her because it’s outside of their area, she realizes it’s okay and it won’t hurt her feelings anymore. She remarks that while she may have benefited from being on medication if she wasn’t in the program, it wouldn’t have been sustainable. Michelle remarks that the entirety of the program is what helped her. On the job, Michelle’s co-workers have been telling her that she is glowing and has had a complete turnaround. One of her friends was so happy and said that she has her Michelle back. Because she is feeling so much better every day, Michelle is already thinking about easing off of her antidepressant.